Who says an outdoor Winter wedding is out of the question? Ha! Never say never when you have these important things: a Gorgeous Venue, a Stunning Bride and her Bridal Party, AND, a little help from Mother Nature. 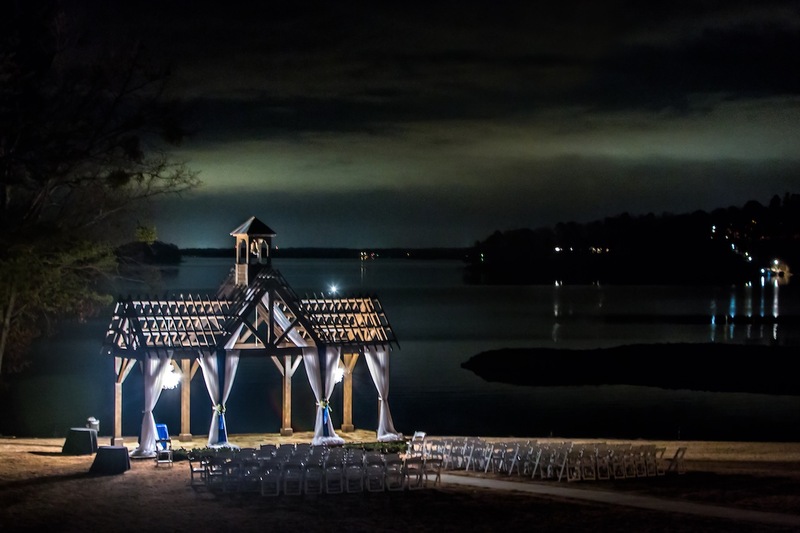 Kellie and Chuck were married at Lake Lanier Islands, PineIsle Pointe – Outside AND in February! Design House enjoyed this fun loving couple with their elegant style. 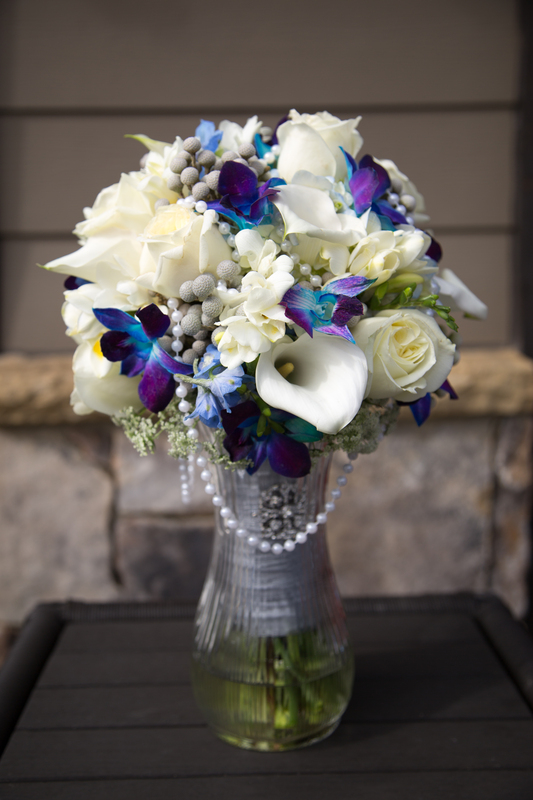 We designed Kellie’s bouquet with blue hydrangeas, blue bon orchids, white roses, white mini calla lilies, blue delphinium freesia, silver brunia berries, and hanging pearls all wrapped in silver ribon. The bridesmaids wore long, strapless, grey gowns with a trendy fur-faux jacket wrap shawl. Classy and so very perfect. Kellie and Chuck released precious white doves after their ceremony, and then it was time for the celebrating! Thank you Glen Wilson, of Pixel This Photography for these fantastic photos!